Even though we’re telling you about us, it’s actually all about you. You may think we’re just another hair salon. Not quite. 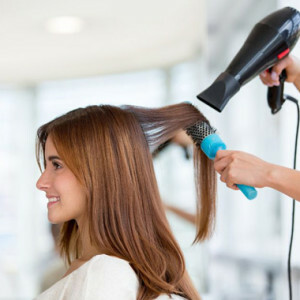 Sorbet Drybar has been developed for you and your lifestyle, so we offer affordable blow-drys in a relaxed, funky environment, complete with in-salon entertainment to give you ‘that feeling’. No cuts or colours.We’re in-and-out. Quick-quick. So you can step in and strut out looking fabulous, and get back to your busy life. It’s speed and convenience, with a big scoop of the Sorbet experience you’ve come to love and expect. Our sparkling-new salon is open seven days a week! No cuts or colours. We’re in-and-out. Quick-quick. So you can step in and strut out looking fabulous, and get back to your busy life. You want gelish? We’ve got gelish. You want French? We’ve got French. Get your nails done at any Sorbet DryBar. Get your pretty face on with Sorbet Makeup applications by our professional Makeup artists, available at selected Sorbet DryBar nationwide. We host groups of women for bridal showers, baby showers, teen parties and bachelorette parties. Our stylists are true ambassadors of everything Sorbet stands for. Trained at Sorbet Support Office, using hair products from the Sorbet Drybar Haircare Collection, Moroccanoil, Redken and Pureology brands, INOAR's Botox Treatments as well as Keratin Smoothing Treatments and styling aids from the Veaudry & GHD ranges. You know that the end result will be nothing short (or long and wavy) of stunning. But wait. There's more. Of course there's more. While you're sitting there getting express-pampered, you can also have your nails done. You can choose between Sorbet, Morgan Taylor, OPI & Vinylux manis and pedis, new nail sets, overlays, fills, Gelish and funky trendy nail art. And the Sorbet experience doesn't stop there. We offer a range of Sorbet skincare, bath and body products, so you can take us home with you. If you’re one of our Sorbet Society Loyalty members, it means you love us, which in turns means we love you too. You can enjoy your rewards and benefits at Sorbet Drybar. So when you reach your threshold, you get free blowouts and look like a real birthday girl with 50% discounts on your special day. You also earn Clicks ClubCard points every time you make a purchase at Sorbet Drybar.